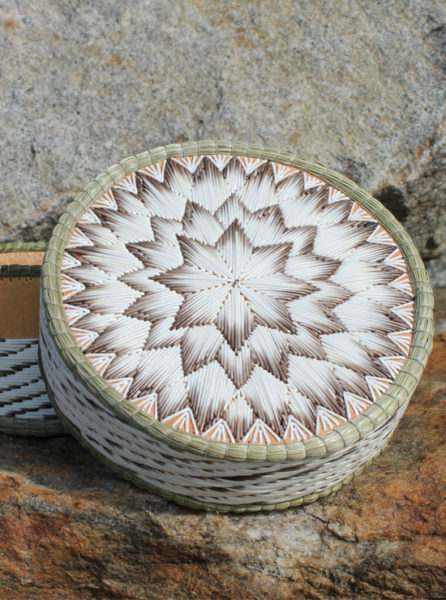 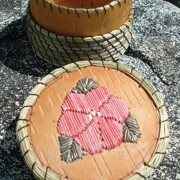 This stunning basket was crafted by Saugeen First Nation artist Jamie Root. 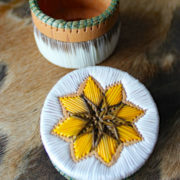 Only undyed quills were used to create the starburst pattern on top, and the pattern around the sides. 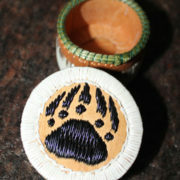 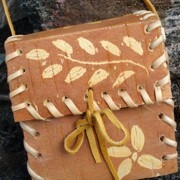 Measures 6″ in diameter and 3.5″ high (15 cm x 8 cm).